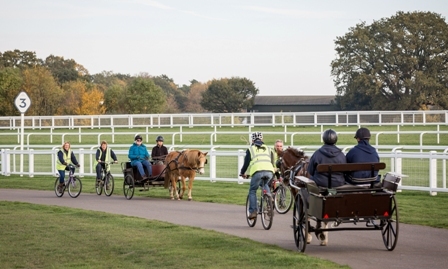 The Windsor and Ascot Driving Group for Disabled enables disabled people to learn how to drive ponies and to enjoy an outdoor activity with animals and other people. Many disabled people, who would otherwise find it impossible to pursue an outdoor activity, have benefited from the recreational and social therapy that this pastime provides. "Fun, a sense of achievement, exercise of mind and body and making friends. For some people it’s the highlight of their week as it might be their only day out." Find out more about us by browsing through this website. Would you like to carriage drive? It is a great way to get some fresh air, gain a new skill and make some new friends. We have three lovely ponies and all our drivers receive instruction and are accompanied by an RDA coach at all times. Why not come along and meet us? Just contact us. 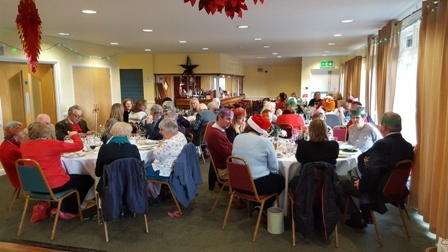 You'll find we are a friendly bunch and we enjoy occasional picnics, a BBQ and our Christmas lunch. 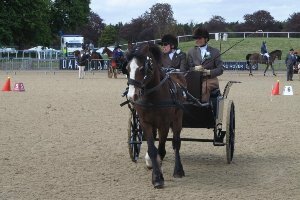 We also compete in various competitions and horse shows with our drivers and ponies even getting into the press now and again!